Anyone interested about GPG encrypted notifications for mastodon instance? 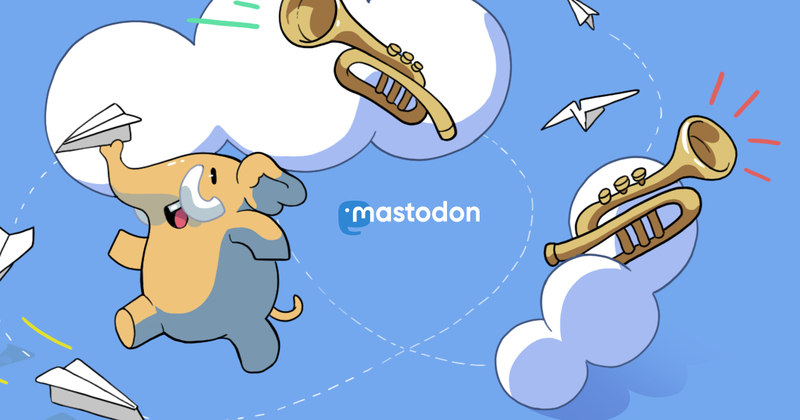 Any user who would send email with own GPG public key to given mailbox will receive all outgoing notifications from Mastodon encrypted with own key from that point. All other users would simply receive email notifications same as before. Currently using it for many web services, which send email notifications. So I was watching these two machines exchanging encrypted latin text between each other. None of them understood the text but both machines were reporting that communication was without any issues. What they didn&apos;t know, is that both of them were just lines of code executed thousands of km away from each other. It&apos;s like from Karel Čapek book. For all the revolut users, Sultan is glad for your support. "𝐌𝐚𝐧𝐧𝐢𝐧𝐠 𝐝𝐢𝐝 𝐧𝐨𝐭 𝐡𝐚𝐯𝐞 𝐚𝐝𝐦𝐢𝐧𝐢𝐬𝐭𝐫𝐚𝐭𝐢𝐯𝐞-𝐥𝐞𝐯𝐞𝐥 𝐩𝐫𝐢𝐯𝐢𝐥𝐞𝐠𝐞𝐬 𝐚𝐧𝐝 𝐮𝐬𝐞𝐝 𝐬𝐩𝐞𝐜𝐢𝐚𝐥 𝐬𝐨𝐟𝐭𝐰𝐚𝐫𝐞, 𝐧𝐚𝐦𝐞𝐥𝐲 𝐚 𝐋𝐢𝐧𝐮𝐱 𝐨𝐩𝐞𝐫𝐚𝐭𝐢𝐨𝐧 𝐬𝐲𝐬𝐭𝐞𝐦"
This is Terrible 🤦 Facebook has been caught asking some new users to enter passwords for their registered email accounts to let #Facebook automatically access their inboxes and verify the email addresses. Who needs surveillance, when your local police prefers the same spa? The idea of the EU taking the lead on these questions will seem bizarre to many executives who view it as an entrepreneurial wasteland and the spiritual home of bureaucracy. March against #Article13 in #Luxembourg. Not sure what they are saying but has got something to do with filters. Hi @Purism what is gonna be your default email client on Librem 5? Just a reminder that tonight from 19:00 at Level2 there will be an evening of talks dedicated to "#Disinformation: how it spreads, how to recognise it and what can be done about it"
Evening opened also to non members of the hackerspace.